This easy and Zesty Marinated Mushroom Salad is so full of amazing flavors! 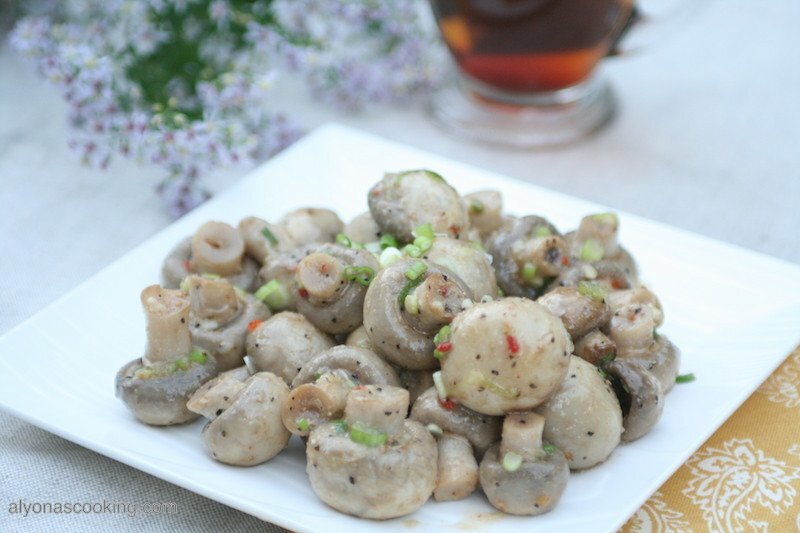 The tender mushrooms are tossed in a tangy dressing which are accompanied by freshly chopped green onions and crushed garlic, and then marinated to deliciousness! I’m sure there are many different variations to this salad, as some perhaps add red bell pepper or parsley instead of the green onions and etc… But the general idea is to toss these in Italian dressing. Yes, that and some fresh ingredients create a mouthful of tastiness! I highly recommend the wishbone Italian dressing to make this salad as some other brands tend to be a little too bland for this salad. I don’t know what Wishbone Italian dressing has in it, but when I use it the mushroom salad comes out very zesty and just the way this salad needs to be. You won’t even have to add any additional seasonings since this particular dressing is loaded with flavor. 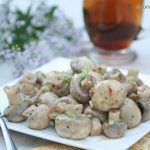 The mushrooms shrink much in size after boiling, so don’t be intimidated by the amount called for. You may certainly slice the mushrooms instead of leaving them whole or cut the really big ones in half. 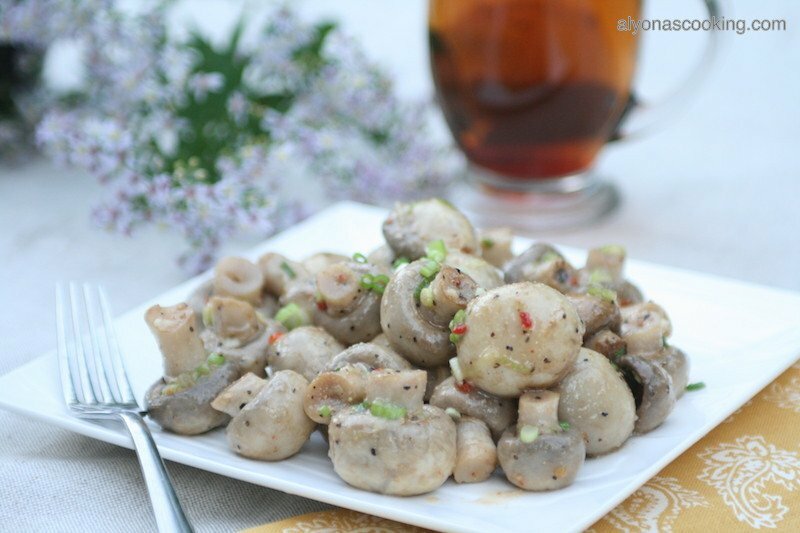 Just reduce the boiling time by two minutes, if you were to completely slice your mushrooms. Try this easy and delicious salad if you haven’t already! It’s seriously good! Serve with some mashed potatoes to complete one delicious meal! 1. Bring a large pot of water (a little more than half way full) to a boil. 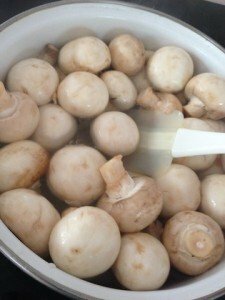 When water has boiled; add a few pinches of salt, 1 tbsp vinegar and the mushrooms. Boil for 10 minutes from the time you throw them in the water. 2. Drain and cool completely before adding any other ingredients. 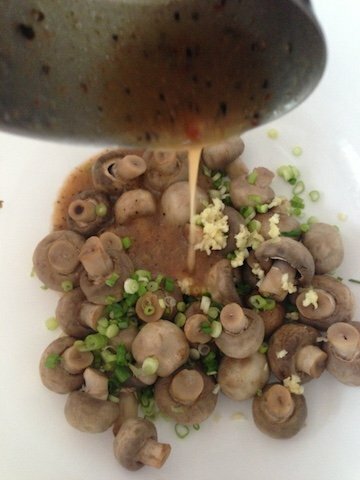 When the mushrooms have cooled; add 1/2 cup of Italian dressing, 3 tbsp chopped green onions and 4 cloves crushed garlic; toss until well combined. Refrigerate at least 6 hours before serving or overnight. Serve salad cold. Bring a large pot of water (a little more than half way full) to a boil. 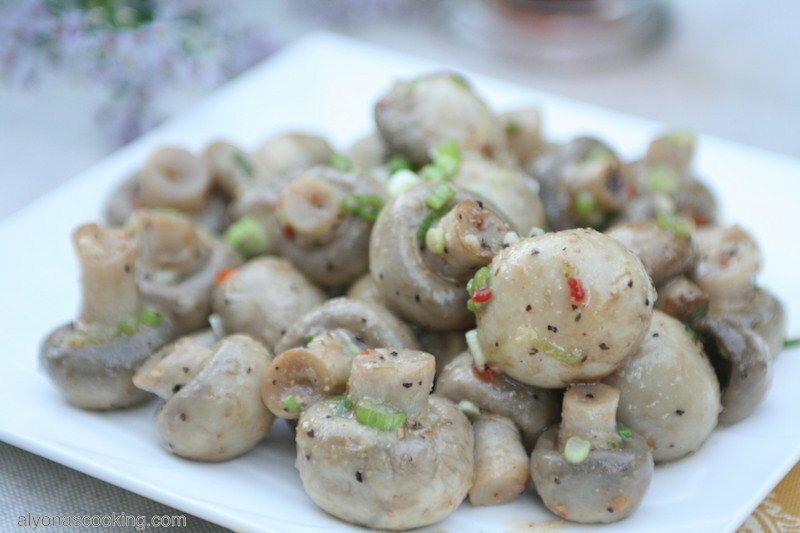 When water has boiled; add some salt, 1 tbsp vinegar and the mushrooms. Boil for 10 minutes from the time you throw them in the water. Drain and cool completely before adding any other ingredients. 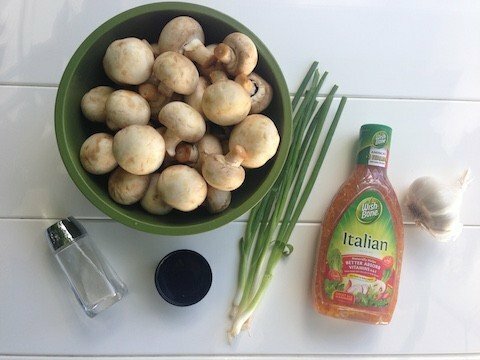 When mushrooms have cooled add 1/2 cup of Italian dressing, 3 tbsp chopped green onions and 4 cloves crushed garlic; toss until well combined. Refrigerate at least 6 hours before serving or overnight. Serve salad cold. 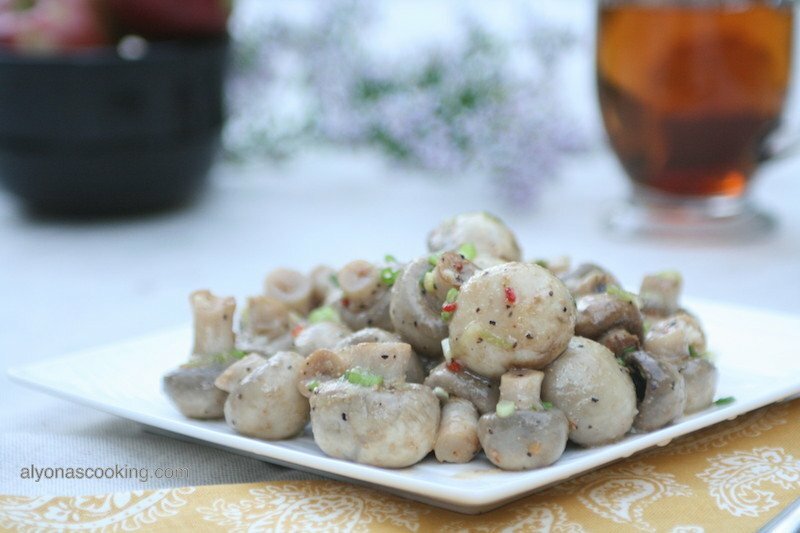 Thank you Alyona for such an easy and delicious marinated mushroom recipe! Your recipes are really great! Thank you! Thank you for your feedback, Tatyana! That’s good to know. Hi, I have recently discord you blog and enjoy it so far!!! Tried to Pin the salad above and it doesn’t want to;((… What’s the problem??? Nataly, glad to hear you enjoy my blog. I’m sorry to hear about your pinning experience. Hopefully it’s running well now after a few revisions. Let me know if you encounter any issues again and thank you for letting us know.